I really love Danica Winters’ paranormal Nymph Series, that features demigoddess, shapeshifting nymphs, who are cursed by Zeus that if ever they fall in love, the object of that love will die. Oh, nymphs also have the power to seduce at will that means that they’re pretty much out of luck on the falling in love front (unless they want to be serial killers). Rather a bit of dilemma for these beautiful women, right? Oh, did you note the fact that they’re demigoddesses? Yes, in addition they’re pretty much immortal and live very long, loveless lives. Oh, and one other thing, since demigods know the score, that falling in love with a nymph causes death, they try to avoid hooking up with them. This leads to a lack of nymph progeny, because it seems that only demigods and demigoddesses together can procreate successfully. Winters’ previous three titles in this series - The Nymph's Labyrinth (Book 1), Montana Mustangs: Book 2 of the Nymph Series (Crimson Romance), and Winter Swans (Book 3) - are really fabulous reads that combine the paranormal with some very sensual romance and great suspense. I’d really advise you to read the series as each detail that Winters provides in these books helps give added dimension to the world of the Sisterhood of Nymphs she’s created. And it’s a fun and fascinating world! 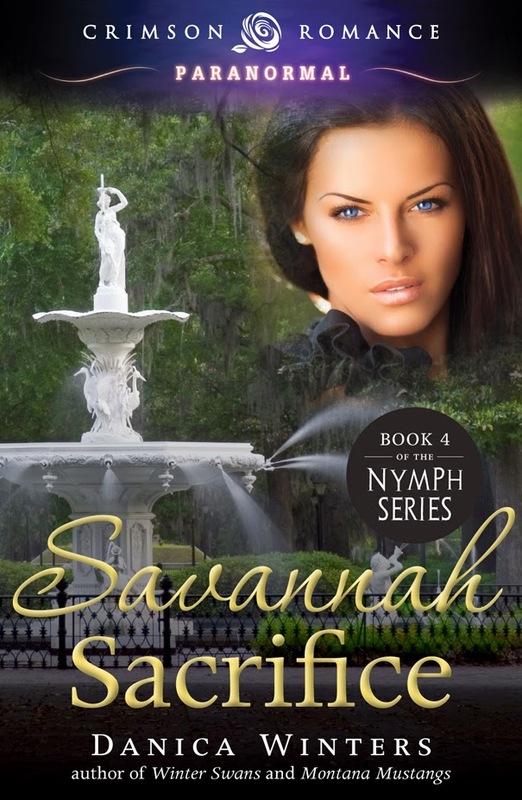 Savannah Sacrifice, the fourth book in the series, picks up where book three left off. Starling Jackson, a very rare, young swan shifting nymph, is traveling to Savannah in order to find a set of books her ghosts tell her they have to have. Yes, in addition to being one of the very few to be born of a nymph and a demigod in recent history, her special talent is that of being a medium. Her struggle with the cacophony of ghostly voices led to her the murder of her mother in book one as she searched for a drub to aid her. If you’ve read book three, Winter Swans, probably like me you've been waiting anxiously for Starling’s story. Well wait no longer and pick up Savannah Sacrifice to find out what happens in her search for peace. Oh, I have to mention that Jasper Gray also returns to help in her search and serve as her bodyguard once again. Jasper and Starling definitely seemed to have the possibility of a little something developing between the two of them in Winter Swans , so it’s great to see what will happen when they’re thrown together again. Will Starling find a way to coexist with her voices without medicating herself to death? Will Jasper be able to protect her from both himself and their enemies? Will a Nymph be able to once again overcome Zeus’ curse and find true love? 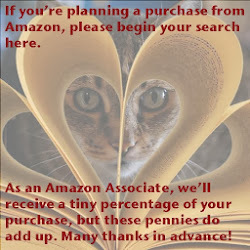 I recommend that you pick up Savannah Sacrifice to find out the answers to these questions and for a fabulously fun and highly original paranormal read. Winters mixes up the wonderful Southern atmosphere of Savannah with a bit of voodoo and witchcraft, a few ghostly spirits, some mortal enemies to the Sisterhood of Nymphs, and a whole lot of nail-biting action for a fabulous four and a half star read.